Twenty-three Westchester County project proposals have been supported by nearly $16 million in state grants funds for economic and community development. Among these projects, the Regional Economic Development Council (REDC) awarded grants to several arts groups in the County. REDC is a regrant program of the New York State Council on the Arts with the support of Governor Andrew Cuomo and the New York State Legislature. Among those funded, the historic Lyndhurst Mansion received $87,000 for a marketing plan that will promote the restoration of its historic lower landscape that overlooks the Hudson River. Meanwhile, National Trust for Historic Preservation, the nonprofit organization that operates Lyndhurst, also received a grant of $35,000. These monies will allow Lyndhurst to open its natatorium (a building that contains a pool) for a public art installation by contemporary artist Jorge Otero-Pailos. Pleasantville’s Jacob Burns Film Center was another recipient of an REDC grant, having received $506,500. The funds will be used to execute capital improvements to the cinema complex. ArtsWestchester received $49,500 toward a monumental work of public art by Amanda Browder that will encircle the organization’s historic nine-floor building in a quilt-like textile. 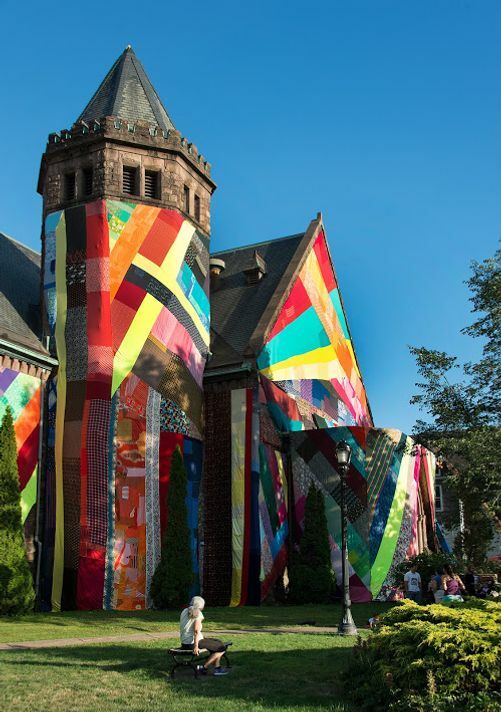 The temporary project will encourage participation from members of Westchester and Rockland Counties, who can donate fabric and help to sew the installation’s textile. Those interested in volunteering should contact [email protected]. A version of this article first appeared in the February issue of ArtsNews, ArtsWestchester’s monthly publication. ArtsNews is distributed throughout Westchester County. A digital copy is also available at artsw.org/artsnews.